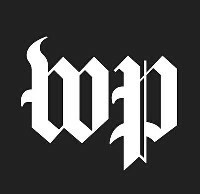 WASHINGTON – (RealEstateRama) — The U.S. Department of Housing and Urban Development (HUD) announced today that it has approved a Conciliation Agreement between a married couple with disabilities and the owners and managers of Silver Creek Apartments in Las Vegas, NV. The agreement resolves allegations that the on-site manager denied the couple’s request to move to a first-floor unit. The property is owned by Silver Creek LV, LLC, and managed by Stout Management Company, both located in Las Vegas. Read the agreement. 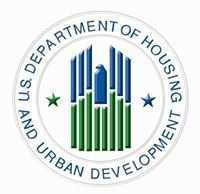 The Fair Housing Act makes it unlawful to discriminate in the sale, rental, and financing of dwellings, and in other housing-related transactions, based on disability. This includes refusing to make reasonable accommodations in rules, policies, practices, or services or facilities related to housing. The case came to HUD’s attention when a couple with disabilities who lived in Silver Creek Apartments filed a complaint alleging that they were denied the opportunity to move to a first-floor unit despite being told upon moving in that they would be able to transfer to a first-floor unit as soon as one became available. The couple further alleged that they made the same request on numerous occasions over a seven-year period, but each time their request was denied even though they observed first-floor units being rented to others. According to the complaints, earlier this year, respondents approved the couple’s request to move to a first-floor unit, but told them that they would have to pay a move-in fee of $700 and an additional $400 security deposit. The couple could not afford the extra costs and was forced to move out. The housing providers deny that they discriminated against the couple. Under the Conciliation Agreement, Stout Management and Silver Creek LV, LLC, will pay the couple $6,000, forgive $1,392 in unpaid rent, and amend their Fair Housing policies to include information about reasonable accommodations. In addition, all leasing and management staff who work with tenants at Silver Creek Apartments will attend Fair Housing training.